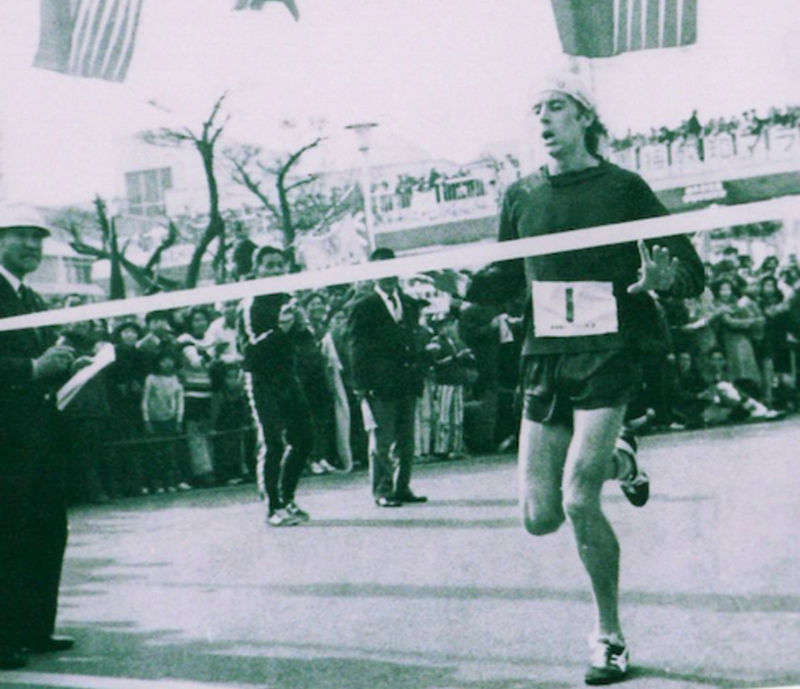 Fifty years ago in the Japanese city of Ohme was first held the Ohme-Hochi 30K Marathon of 18.64 miles. 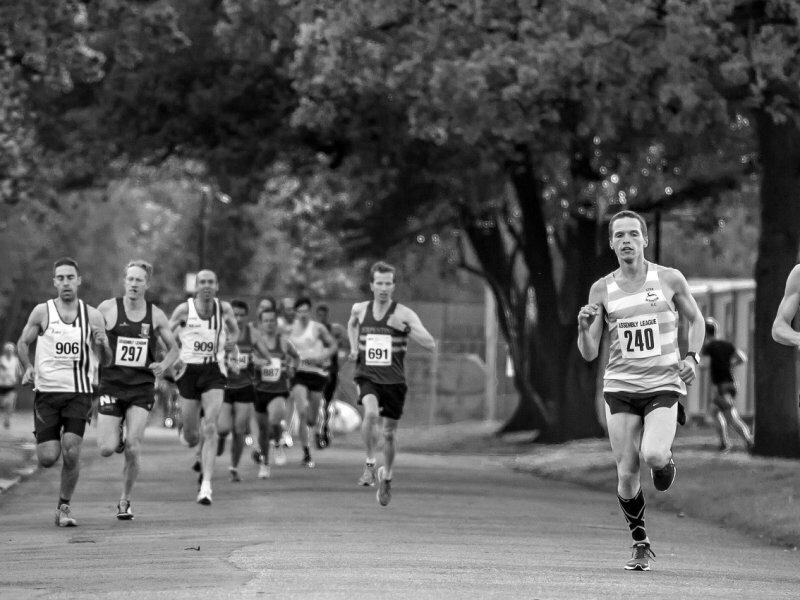 In a country where running is truly revered and honored - with its early Olympic Marathon Trials in 1911 and national marathon championships dating back to 1913 - traditions are respected with great regard. With the storied history of the Boston Marathon that dates back to 1897 and includes six Japanese post-war champions from 1951-1969, an international relationship of kindred spirits seemed fatefully inevitable. 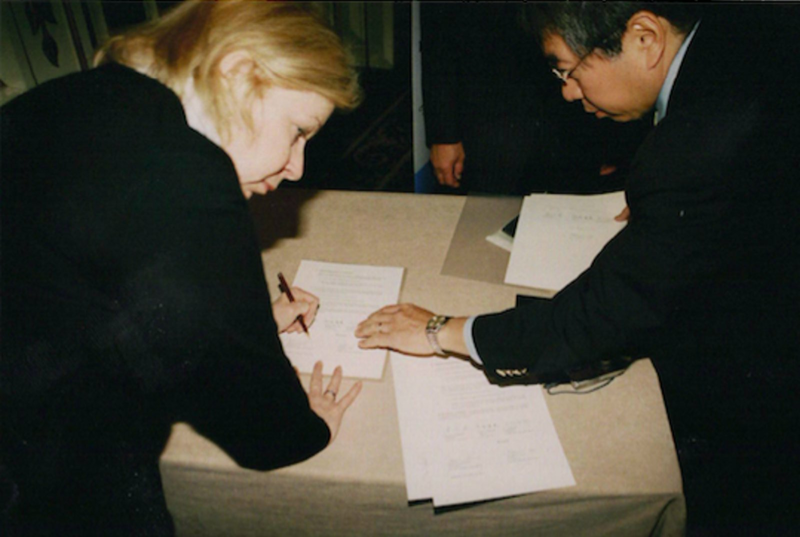 And so it was on October 15, 1975 - with thanks in part to Boston race director Will Cloney and sponsoring Tokyo newspaper managing director Yoichi Furukawa - that a mutual agreement was set in place which resulted in the sending and inviting of top athletes to each other’s event that remains to this day. The Ohme Athletic Association (OAA) - established in 1936 - and “The Hochi Shimbun” newspaper - whose publisher predates the BAA by 15 years - has co-organized the event since its inception in 1967. It was sparked by the success of the 1964 Tokyo Summer Olympic Games, where Japan won 29 medals (16 gold), including marathon bronze by Kokichi Tsuburaya. Eight years later, in the fall of 1975, Ohme reached out to Boston as a way to show their thanks, appreciation, and respect. At first, each race’s winner received the invitation and was accompanied by an athletic association representative. That criteria changed over the years to include a broader chance for other athletes to compete. 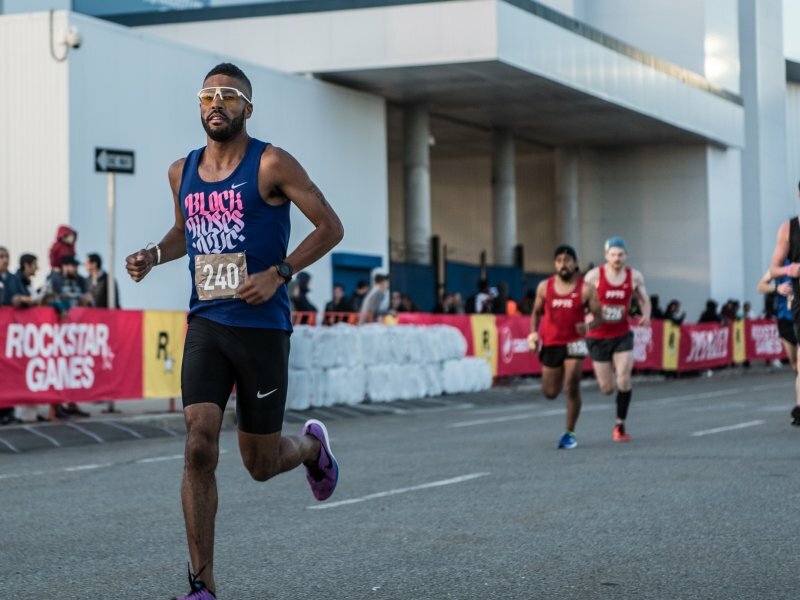 Based on the 1975 Boston Marathon, champion Bill Rodgers of the Greater Boston Track Club and third-place finisher Tom Fleming of New Jersey were the first men selected for Ohme. Also in the field of nearly 8,000 in the 1976 Ohme were 263 women. Of the 13 who finished, 1974 Boston winner Michiko “Miki” Gorman of California was first in 1:57:37. 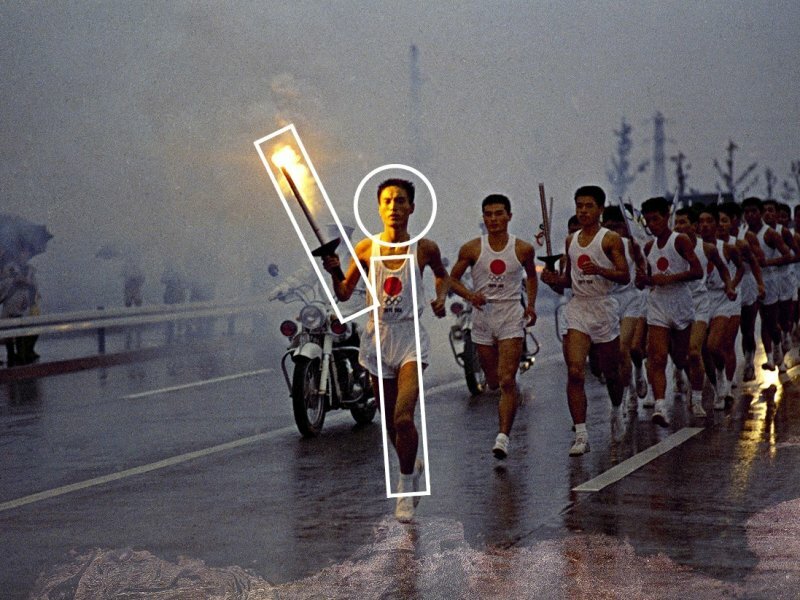 Three months later, the initial Ohme contingent at the 1976 “Run for the Hoses” Boston Marathon included Yoshiaki Unetani (2:31:08) and Fumikatsu Okita (3:09:40). That inaugural five-year agreement saw Ohme wins from Rodgers (1976), Gorman (1976), and Randy Thomas (1980), the latter of whom at the time set a course-record 1:30:44. Also within the first five-year pact were several top-10 performances at both races, including Americans Jack Fultz (5th in 1977), Gary Tuttle (3rd in 1978), Ronald Wayne (6th in 1978) at Ohme, and Japan’s Yutaka Taketomi (9th in 1978) at Boston. 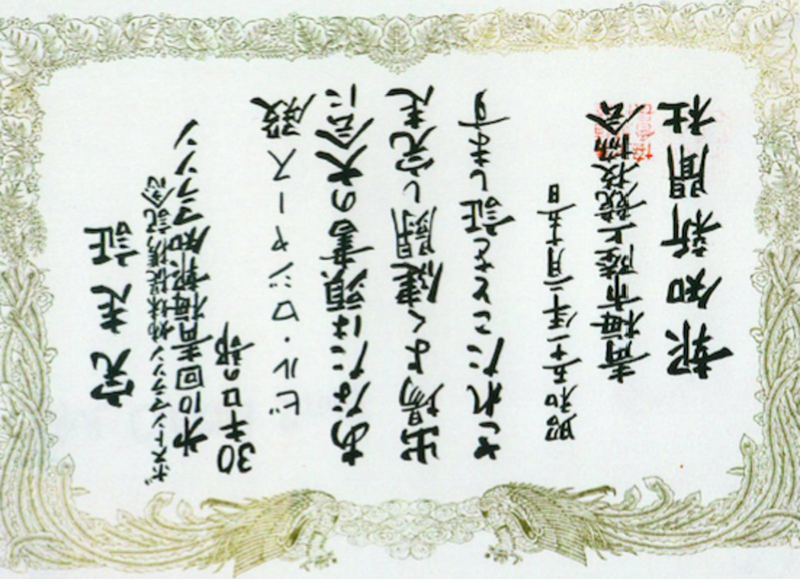 Bill Rodgers's certificate from the 10th annual Ohme-Hochi 30K (also called the Ohme/Hochi Marathon) in Ohme, Japan, on February 15, 1976, and sponsored by The Hochi Shimbun newspaper company and the Ohme Athletic Association. Transcribed by Shin Horiuchi, it reads - from the vertical columns left to right - as follows: The Hochi Shimbun. An association of track and field, Ohme- City. Showa 51 (1976), Feb. 15th. You participated in the referenced rate and successfully finished with great fight, Mr. Bill Rodgers. 30 kilometer race. 10th Ohme-Hochi Marathon.30 kilometer race. 10th Ohme-Hochi Marathon. 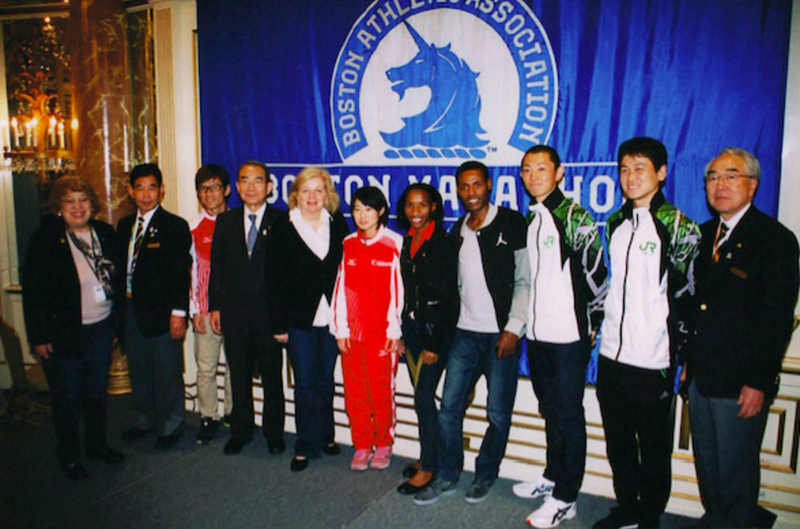 An anniversary for the cooperation with the Boston Marathon. Certification of a Finisher. (Courtesy Bill Rodgers). As a result of the success of this initial Athlete Exchange Program, it was agreed upon to sign another five-year term and then ad infinitum. Triumphs continued with American wins at Ohme by Patti (Catalano) Dillon (1981), Kirk Pfeffer (1982), Greg Meyer (1983), Debbie Mueller (1985), Eileen Claugus (1987), and Jason Lehmkuhle (2011). 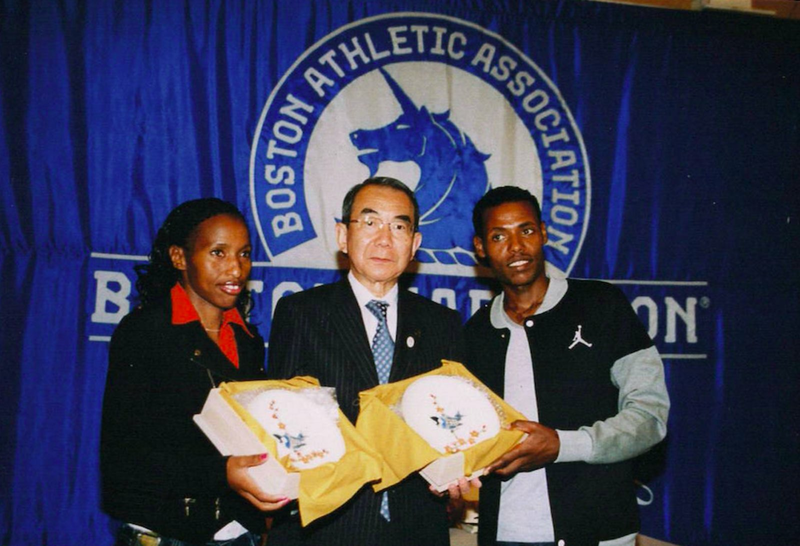 Top years for Ohme athletes at Boston included 1987 for the men (Tomoyuki Taniguchi in 5th, Hideki Kita in 9th) and 1999 for the women (Mitsuko Sugihara in 8th). Grilk - who has lived in Tokyo, and as an official represented the BAA at Ohme and also competed in the race as well - retains a great affection for Japan. “Ohme, and the neighboring town of Tachikawa, were my children’s first introduction to life in Japan, at age 14. They immediately experienced a sense of safety and welcome which continues to mark their view of Japan,” he noted. 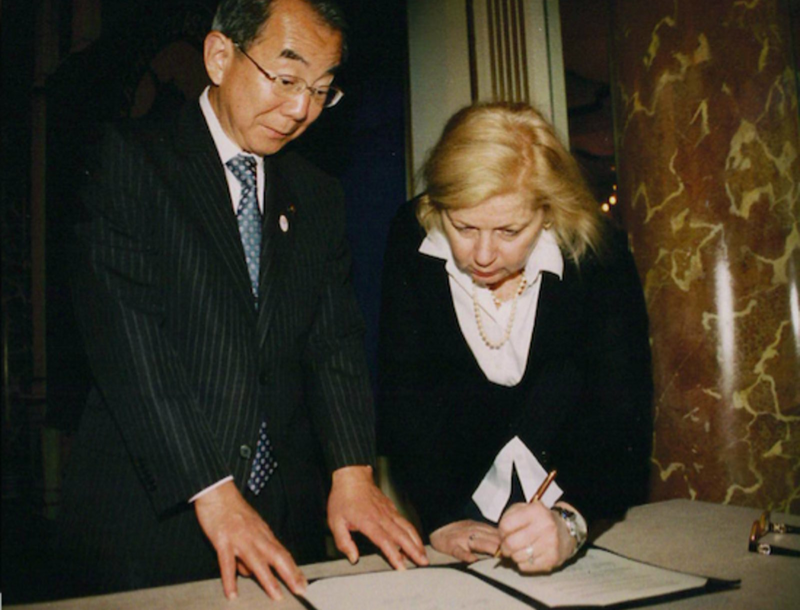 Meyer also was unaware of traditional Japanese customs - the exchange of business cards; ceremonial gift-giving; bowing - although he was notified beforehand that he was expected to attend several events as a US and Boston representative. Morse, whose tenure included six five-year agreements, realized early that this was not just a road-race exchange of athletes. Augmenting that exchange are events that celebrate the relationship. Representatives are expected to speak at some occasions, and itineraries include ceremonial gatherings, media opportunities, gift exchanges, tours, and in the US has included visits to Hopkinton, Cape Cod, museums, and even a clambake dinner and a show in the theatre district. 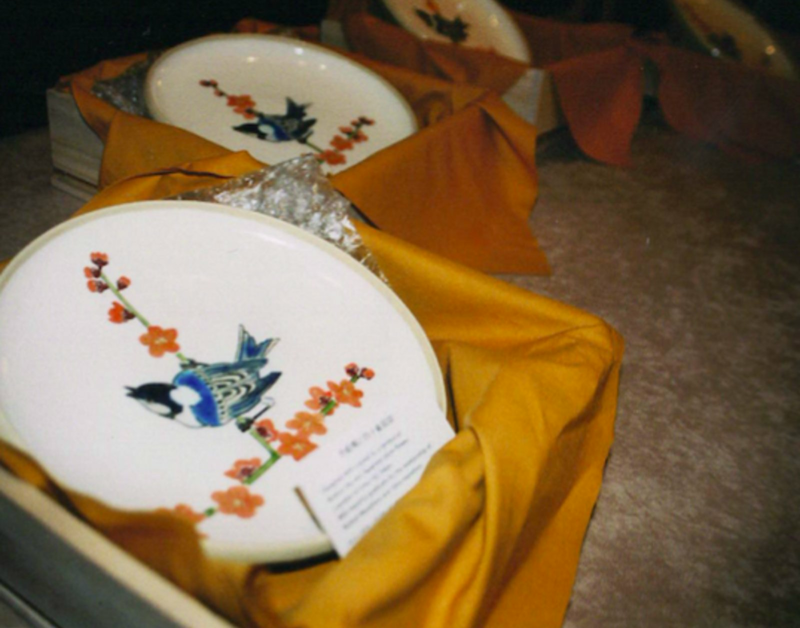 As per custom, gifts are presented each year, including these handcrafted Japanese plates in 2015. (Photo by Paul Clerici). 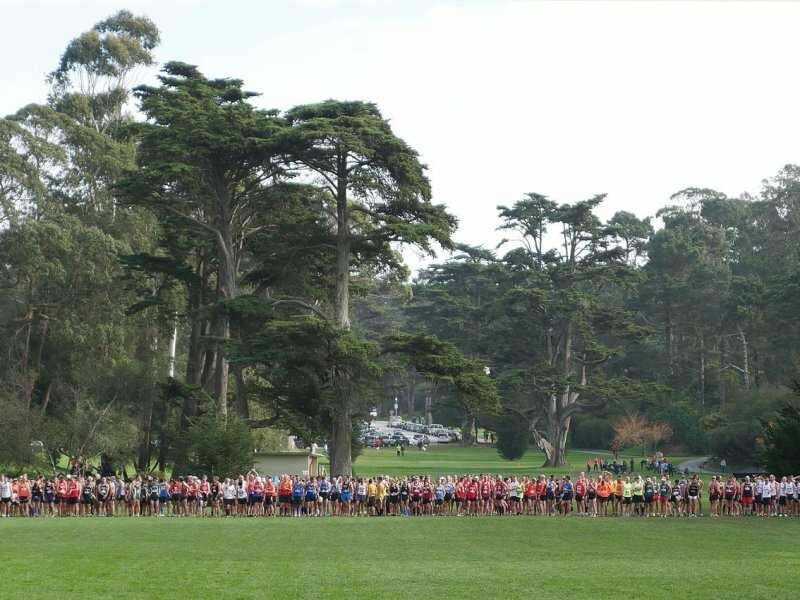 In addition to the obvious differences in course length and layout - 42-kilometer point-to-point Boston; 30-kilometer out-and-back Ohme - there are many other differences that stand out. For some of the Japanese runners, it’s exuberant spectators or the field size. Course setups differ as well, from markers, directional signage, support, and even post-race activities. One of the similarities of the courses, although unbeknownst to some at the time, are hills. “Somebody said it was hilly,” quipped Meyer of Ohme, “and it was!” Amako agreed with that sentiment - for Boston. “I didn’t know and I didn’t realize that there were going to be so many hills up and down,” she smiled. Like with most runners, the excitement of the Boston Marathon can get the adrenaline going. It is no different for the elite. “I was so excited from the beginning that I think I went out too fast from the very beginning and I realize that halfway through and it was pretty tough on my body,” recalled Hasegawa. “Heartbreak Hill completely wrecked my knees and legs. 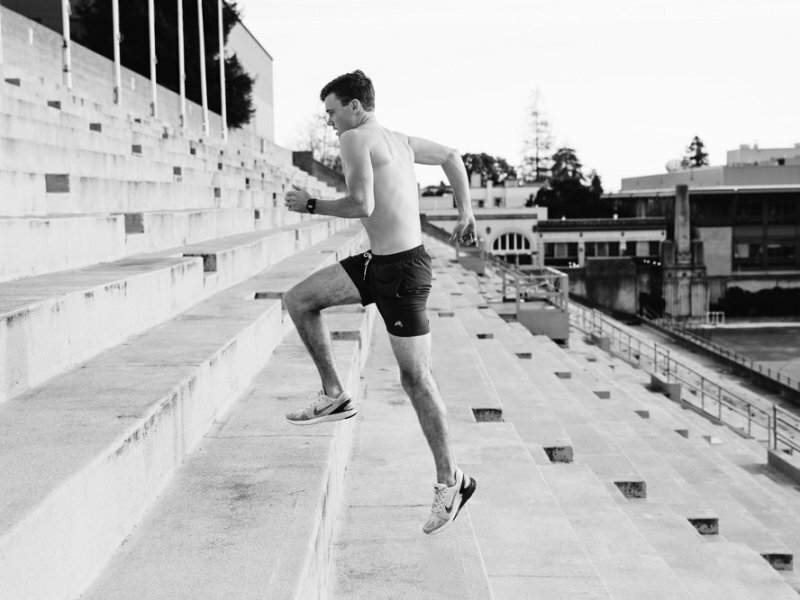 [Ohme] is a there-and-back [course, but] in my mind it is kind of similar - it is uphill [the first half] and the back is downhill. When I ran Ohme [in 2015], I did negative split. But [in Boston], I did not do that,” he laughed. 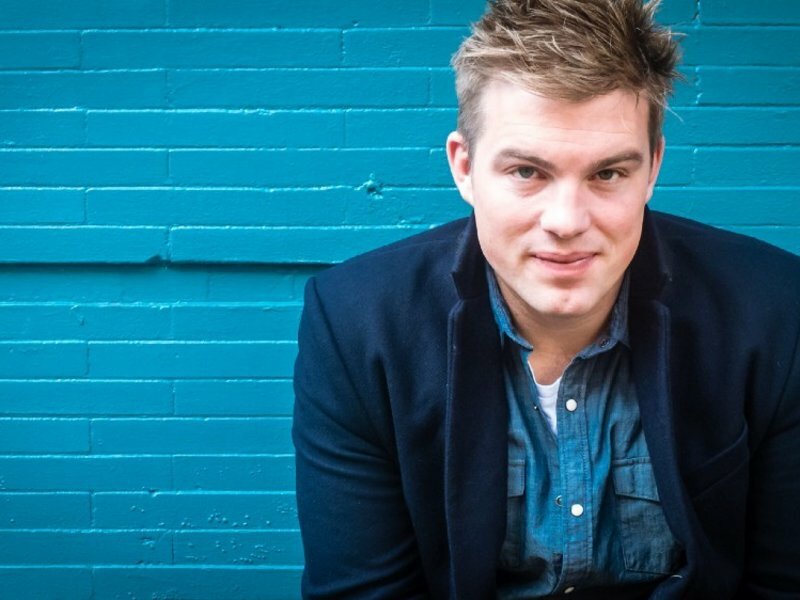 Paul Clerici is a Massachusetts based writer and photographer. An accomplished runner, Clerici has raced more than 40 marathons and run the Boston Marathon more than 20 years in a row. It’s not about winning, it’s about taking part.